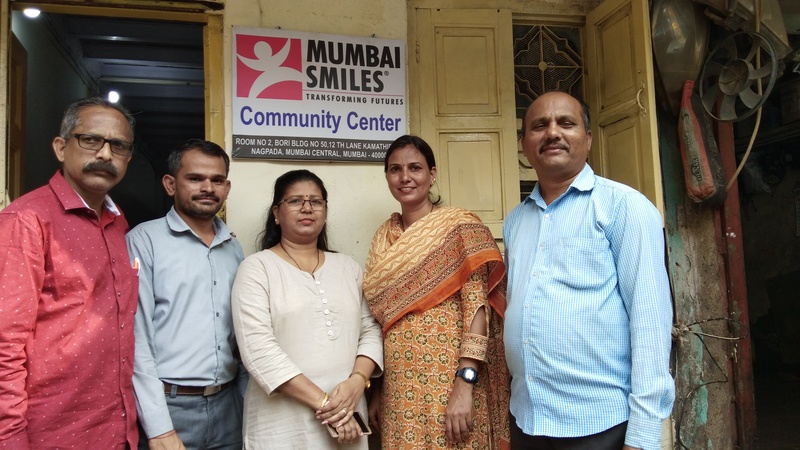 A community-based approach is at the heart of the Mumbai Smiles ethos. As a part of our outreach project in Kamathipura, a red-light area in Mumbai, we have been interacting with the victims of human trafficking as well as their children. Many of the survivors are suffering from mental illnesses that go undetected and untreated. Mental health is one of the focal areas of our work with the survivors here—our counselling services are an important way for victims to process their trauma and pain. Recently we reached an important milestone in our journey here—the inauguration of our community centre at Kamathipura. This will bring new momentum to our community engagement and make us a more accessible and consistent presence in the life of the community. Given that we are working with trafficking survivors and their children to address their mental health issues, the centre will help us to consistently monitor their progress and ensure the long-term viability of the counselling. We hope that we are able to serve the community even better and they feel more comfortable turning to us for help.